Kolkata (formerly known as Calcutta) is the capital city of West Bengal which is located in North-Eastern region of India. Kolkata is one of the Educational hubs and capital city which has introduced modern education system in India. A saying of Swami Vivekananda – “Education is the manifestation of the perfection already in man” Kolkattans purely rely on the above saying of Swami Vivekananda, education has always been given priority in kolkata. Colleges in Kolkata offer various courses. Some Colleges provide education in specialized fields such as agriculture, Juridical Sciences, Health Sciences or Technology. Kolkata is a centre of academic excellence and as gained the status of National Institute of Importance. Students from all over the country opt for Indian Institute of Technology in Kharagpur and Indian Statistical Institute in Kolkata. Colleges in Kolkata offer under graduate, Post graduate, Doctoral, Certificate and Diploma programs. Some College in Kolkata offer adult continuing education and apart from regular program some Colleges offers organize consultancy projects as well as trainings. Colleges in Kolkata follow different mode in delivering the education such as traditional as well as distance learning programs. You can even find Open University in this state. Kolkata is the abode for number of colleges. In the state of west Bengal you can find number of colleges in kolkata, which provides a great platform for higher education in the field of engineering, arts and social science, law, commerce, medical science, journalism etc. 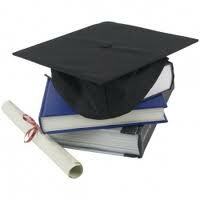 "Following is the list of Colleges in Kolkata. All Colleges in Kolkata are divided into Location wise. We have even listed College in Kolkata as per alphabetical order which is easy to find the desired college and information on it. If you come across any College in Kolkata which is not found from our list below, please do let us know by using add in list which is default in our website”.